Welcome to Charleston’s best online real estate service. I understand technology plays an important role in the property search process and provides homebuyers with essential tools through which they can gather information that can help them to make informed relocation or buying decisions. It is also important that the property-purchase process retains a personal touch and that, as a potential buyer, you can have your questions answered in a timely and informative manner. I am proud to offer a service that combines all the latest technical developments with my multiple years of experience as a Charleston Realtor to deliver the highest level of real estate technology and services. I look forward to working closely with you during your home search or purchase in the Charleston area. It's fast, easy and free! 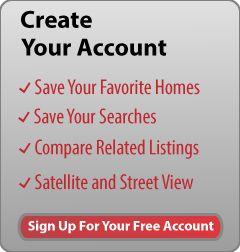 Simply create an account to gain instant access to all the homes that are available for sale in the Charleston area. Take advantage of Charleston's leading real estate search engine and utilize the advanced tools to store your favorite searches and create a shortlist of your favorite homes. Once your account is created, you are ready to begin your home search. If you are relocating to the Charleston area, I would recommend that you start your search by using the interactive map to familiarize yourself with the geography of the Charleston area. Once you have identified the communities and neighborhoods that you are interested in exploring further, you can use the Advanced Search tool to take your home search to the next level. This functionality allows you to filter your search results by price, bedrooms, neighborhoods, or other criteria according to your needs. Once you have identified a property that you are interested in viewing or would like to monitor, be sure to click the "add to favorites" button. This saves the property to your favorite’s page where you can receive important updates each day. You can also track the date and time you saved the property to your favorites. If the home sells, or you decide you are no longer interested in the property, you can quickly and easily delete it from your favorite’s page. This is an excellent way to monitor the homes that you have added to your shortlist. This is a great feature for active home buyers who would like to search our comprehensive database of properties on a regular basis. Once you have developed a set of criteria that you can regularly use to find suitable properties, you can make your home search easier by storing your favorite searches. Simply input your search requirements and select the “save search” button at the bottom of the page. The next time you login to your account, you will have the ability to edit, run, or delete your saved searches. The Advanced Search tool gives you the freedom and flexibility that you need to maintain control of your home search. What’s more, you can opt to receive automatic email notifications that alert you of any new listings that meet your search criteria, thus ensuring that you are kept fully informed of the latest developments in your area of interest. Are You Relocating to Charleston, SC? If you are relocating to the Charleston area, you may be interested to learn that I offer a range of specialized services that are aimed at helping home buyers to make smart relocation and purchasing decisions. Having over ten years’ experience working as a Realtor in the Charleston area, I have developed extensive insider knowledge of the various communities, neighborhoods, homes, and schools available. My community pages also offer you a great resource through which you can learn more about the neighborhood and areas you are interested in. Please feel free to contact me directly with any questions you may have. You can send me a message via my contact page, email me at info@echarlestonrealestate.com, or call me at 843-224-3233. When you are ready to view your favorite homes, I will be happy to schedule the showing appointments at a time and date to suit you.